For other uses, see The Incredibles (disambiguation). Bird, who was Pixar's first outside director, developed the film as an extension of the 1960s comic books and spy films from his boyhood and personal family life. He pitched the film to Pixar after the box office disappointment of his first feature, The Iron Giant (1999), and carried over much of its staff to develop The Incredibles. The animation team was tasked with animating an all-human cast, which required creating new technology to animate detailed human anatomy, clothing and realistic skin and hair. Michael Giacchino composed the film's orchestral score. The film premiered on October 27, 2004, at the BFI London Film Festival and had its general release in the United States on November 5, 2004. It performed well at the box office, grossing $633 million worldwide during its original theatrical run. The Incredibles received widespread approval from critics and audiences, winning two Academy Awards and the Annie Award for Best Animated Feature. It was the first entirely animated film to win the prestigious Hugo Award for Best Dramatic Presentation. A sequel, Incredibles 2, was released on June 15, 2018. Public opinion turns against Superheroes due to the collateral damage caused by their crime-fighting. After several lawsuits, the government initiates the Superhero Relocation Program, which forces Supers to permanently adhere to their secret identities, making them illegal. Fifteen years later, Bob and Helen Parr—formerly known as Mr. Incredible and Elastigirl—and their children Violet, Dash, and baby Jack-Jack are a suburban family living in Metroville. Although he loves his family, Bob resents the mundanity of his suburban lifestyle and white-collar job. Together with his friend Lucius Best, formerly known as Frozone, Bob occasionally relives "the glory days" by moonlighting as a vigilante. After his supervisor prevents him from stopping a mugging, Bob loses his temper and injures him, resulting in his dismissal. Returning home, Bob receives a message from a woman called Mirage, who gives him a mission to destroy a savage tripod-like robot, the Omnidroid, on the remote island of Nomanisan. Mr. Incredible battles and disables it by tricking it into ripping off its own power source. Mr. Incredible finds the action and higher pay rejuvenating. He improves his relationship with his family and begins rigorous physical training while awaiting more work from Mirage for the next two months. Finding a tear in his blue suit, he visits superhero costume designer Edna Mode to have it mended. Assuming that Helen knows what Bob is doing, Edna also makes new suits for the entire family. Setting out for Nomanisan once again, Mr. Incredible discovers Mirage is working for Buddy Pine, a disaffected former fan whom he had rejected as his sidekick, Incrediboy. Having adopted the alias of Syndrome, he has been perfecting the Omnidroid by hiring different superheroes to fight it, killing many of them in the process. Syndrome intends to send the latest Omnidroid to Metroville, where he will secretly manipulate its controls to defeat it in public, becoming a "hero" himself. Later, he will sell his inventions so that everyone can become "super", rendering the term meaningless. Helen visits Edna and learns what Bob has been up to. She activates a beacon Edna built into the suits to find Mr. Incredible, inadvertently causing him to be captured while infiltrating Syndrome's base. Elastigirl borrows a private plane to head for Nomanisan. She finds out that Violet and Dash have stowed away, leaving Jack-Jack with a babysitter. Elastigirl's radio transmissions are picked up by Syndrome, who sends missiles to shoot her down. The plane is destroyed, but Elastigirl and the kids survive and use their powers to reach the island. Helen infiltrates the base and discovers Syndrome's plan. Discontented with Syndrome's indifference when her life was threatened, Mirage releases Mr. Incredible and informs him of his family's survival. Helen arrives and races off with Mr. Incredible to find their children. Dash and Violet are chased by Syndrome's guards, but fend them off with their powers before reuniting with their parents. Syndrome captures them all, leaving them imprisoned while he follows the rocket transporting the Omnidroid to Metroville. The Incredibles escape to Metroville in another rocket with Mirage's help. As per its programming, the Omnidroid recognizes Syndrome as a threat and shoots off the remote control on his wrist, making him incapable of controlling it and knocking him unconscious. The Incredibles and Frozone fight the Omnidroid. Elastigirl acquires the remote control, allowing Mr. Incredible to use one of the robot's claws to destroy its power source. Returning home, the Incredibles find Syndrome, who plans to kidnap and raise Jack-Jack as his own sidekick to exact revenge on the family. As Syndrome is flying upward to reach his jet, Jack-Jack's own superpowers start to manifest and he escapes Syndrome midair. As Elastigirl catches Jack-Jack, Syndrome boards his plane, but Mr. Incredible throws his car at the villain, causing him to get sucked into the jet's turbine by his own cape, killing him and causing the plane to explode. Three months later, the Incredibles witness the arrival of a supervillain called the Underminer. They put on their superhero masks, ready to face the new threat together as a family. Craig T. Nelson as Bob Parr / Mr. Incredible, Helen's husband, possessing super-strength. Holly Hunter as Helen Parr / Elastigirl, Bob's wife, who has the ability to stretch her body like rubber. Sarah Vowell as Violet Parr, the Parrs' eldest child, who can become invisible and generate an impact-resistant force shield. Spencer Fox as Dashiell "Dash" Parr, the Parrs' second child, possessing super-speed. Eli Fucile and Maeve Andrews as Jack-Jack Parr, the Parrs' infant son. Jason Lee as Buddy Pine / IncrediBoy / Syndrome, Mr. Incredible's fan-turned-supervillain, who uses his scientific prowess to give himself enhanced abilities. Samuel L. Jackson as Lucius Best / Frozone, Bob's best friend, who can form ice from humidity. Elizabeth Peña as Mirage, Syndrome's seductive right-hand woman. Brad Bird as Edna "E" Mode, the fashion designer for the Supers. Teddy Newton as Newsreel Narrator, heard narrating the changing public opinion of the Supers. Jean Sincere as Mrs. Hoganson, an old lady to whom Bob Parr pretends to deny an insurance claim. Bud Luckey as Rick Dicker, a government agent responsible for keeping the Parrs undercover. Wallace Shawn as Gilbert Huph, Bob's demeaning boss. Lou Romano as Bernie Kropp, Dash's teacher. Dominique Lewis as Bomb Voyage, a French supervillain who uses explosives. Bret Parker as Kari, Jack-Jack's babysitter. Kimberly Adair Clark as Honey, Frozone's wife. John Ratzenberger as The Underminer, a mole-like supervillain. The Incredibles as a concept dates back to 1993 when Bird sketched the family during an uncertain point in his film career. Personal issues had percolated into the story as they weighed on him in life. During this time, Bird had signed a production deal with Warner Bros. Feature Animation and was in the process of directing his first feature, The Iron Giant. Approaching middle age and having high aspirations for his filmmaking, Bird pondered whether his career goals were attainable only at the price of his family life. He stated, "Consciously, this was just a funny movie about superheroes. But I think that what was going on in my life definitely filtered into the movie." After the box office failure of The Iron Giant, Bird gravitated toward his superhero story. He imagined it as a homage to the 1960s comic books and spy films from his boyhood and he initially tried to develop it as a 2D cel animation. When The Iron Giant became a box office bomb, he reconnected with old friend John Lasseter at Pixar in March 2000 and pitched his story idea to him. Bird and Lasseter knew each other from their college years at CalArts in the 1970s. Lasseter was sold on the idea and convinced Bird to come to Pixar, where the film would be done in computer animation. The studio announced a multi-film contract with Bird on May 4, 2000. The Incredibles was written and directed solely by Brad Bird, a departure from previous Pixar productions which typically had two or three directors and as many screenwriters with a history of working for the company. In addition, it would be the company's first film in which all characters are human. "The dad is always expected in the family to be strong, so I made him strong. The moms are always pulled in a million different directions, so I made her stretch like taffy. Teenagers, particularly teenage girls, are insecure and defensive, so I made her turn invisible and turn on shields. And ten-year-old boys are hyperactive energy balls. Babies are unrealized potential." – Brad Bird, writer and director of The Incredibles. Bird came to Pixar with the lineup of the story's family members worked out: a mom and dad, both suffering through the dad's midlife crisis; a shy teenage girl; a cocky ten-year-old boy; and a baby. Bird had based their powers on family archetypes. During production, Hayao Miyazaki of Studio Ghibli visited Pixar and saw the film's story reels. When Bird asked if the reels made any sense or if they were just "American nonsense," Miyazaki replied, through an interpreter, "I think it's a very adventurous thing you are trying to do in an American film." 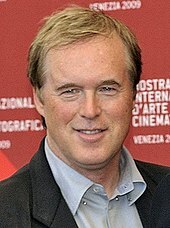 Brad Bird wrote and directed the film. Upon Pixar's acceptance of the project, Brad Bird was asked to bring in his own team for the production. He brought up a core group of people he worked with on The Iron Giant. Because of this, many 2-D artists had to make the shift to 3-D, including Bird himself. Bird found working with CG "wonderfully malleable" in a way that traditional animation is not, calling the camera's ability to easily switch angles in a given scene "marvelously adaptable." He found working in computer animation "difficult" in a different way than working traditionally, finding the software "sophisticated and not particularly friendly." Bird wrote the script without knowing the limitations or concerns that went hand-in-hand with the medium of computer animation. As a result, this was to be the most complex film yet for Pixar. The film's characters were designed by Tony Fucile and Teddy Newton, whom Bird had brought with him from Warner Bros. Like most computer-animated films, The Incredibles had a year-long period of building the film from the inside out: modeling the exterior and understanding controls that would work the face and the body—the articulation of the character—before animation could even begin. Bird and Fucile tried to emphasize the graphic quality of good 2-D animation to the Pixar team, who had only worked primarily in CG. Bird attempted to incorporate teaching from Disney's Nine Old Men that the crew at Pixar had "never really emphasized." For the technical crew members, the film's human characters posed a difficult set of challenges. Bird's story was filled with elements that were difficult to animate with CGI back then. Humans are widely considered to be the most difficult things to execute in animation. Pixar's animators filmed themselves walking to better grasp proper human motion. Creating an all-human cast required creating new technology to animate detailed human anatomy, clothing, and realistic skin and hair. Although the technical team had some experience with hair and cloth in Monsters, Inc. (2001), the amount of hair and cloth required for The Incredibles had never been done by Pixar up until this point. Moreover, Bird would tolerate no compromises for the sake of technical simplicity. Where the technical team on Monsters, Inc. had persuaded director Pete Docter to accept pigtails on Boo to make her hair easier to animate, the character Violet had to have long hair that obscured her face; in fact, this was integral to her character. Violet's long hair, which was extremely difficult to animate, was only successfully animated toward the end of production. In addition, animators had to adapt to having hair both underwater and blowing through the wind. Disney was initially reluctant to make the film because of these issues, thinking that a live-action film would be preferable, but Lasseter denied this. So I said, “Give us the black sheep. I want artists who are frustrated. I want the ones who have another way of doing things that nobody’s listening to. Give us all the guys who are probably headed out the door.” A lot of them were malcontents because they saw different ways of doing things, but there was little opportunity to try them, since the established way was working very, very well. We gave the black sheep a chance to prove their theories, and we changed the way a number of things are done here. For less money per minute than was spent on the previous film, Finding Nemo, we did a movie that had three times the number of sets and had everything that was hard to do. All this because the heads of Pixar gave us leave to try crazy ideas. Not only did The Incredibles cope with the difficulty of animating CG humans, but also many other complications. The story was bigger than any prior story at the studio, was longer in running time, and had four times the number of locations. Supervising technical director Rick Sayre noted that the hardest thing about the film was that there was "no hardest thing," alluding to the amount of new technical challenges: fire, water, air, smoke, steam, and explosions were all additional to the new difficulty of working with humans. The film's organizational structure could not be mapped out like previous Pixar features, and it became a running joke to the team. Sayre said the team adopted “Alpha Omega," where one team was concerned with building modeling, shading, and layout, while another dealt with final camera, lighting, and effects. Another team, dubbed the "character team," digitally sculpted, rigged, and shaded all of the characters, and a simulation team was responsible for developing simulation technology for hair and clothing. There were at least 781 visual effects shots in the film, and they were quite often visual gags, such as the window shattering when Bob angrily shuts the car door. Additionally, the effects team improved their modeling of clouds, using volumetric rendering for the first time. The skin of the characters gained a new level of realism from a technology to produce known as "subsurface scattering." The challenges did not stop with modeling humans. Bird decided that in a shot near the film's end, baby Jack-Jack would have to undergo a series of transformations, and in one of the five planned he would turn himself into a kind of goo. Technical directors, who anticipated spending two months or even longer to work out the goo effect, stealing precious hours from production that had already entered its final and most critical stages, petitioned the film's producer, John Walker, for help. Bird, who had himself brought Walker over from Warner Bros. to work on the project, was at first immovable, but after arguing with Walker in several invective-laced meetings over the course of two months, Bird finally conceded. Bird also insisted that the storyboards define the blocking of characters' motions, lighting, and camera movements, which had previously been left to other departments rather than storyboarded. Bird admitted that he "had the knees of [the studio] trembling under the weight" of The Incredibles, but called the film a "testament to the talent of the animators at Pixar," who were admiring the challenges the film provoked. He recalled, "Basically, I came into a wonderful studio, frightened a lot of people with how many presents I wanted for Christmas, and then got almost everything I asked for." Lily Tomlin was originally considered for the role of Edna Mode, but later turned it down. After several failed attempts to cast Edna Mode, Bird took on her voice role himself. It was an extension of the Pixar custom of tapping in-house staff whose voices came across particularly well on scratch dialogue tracks. Sarah Vowell was offered the role of Violet unexpectedly, Bird wanted to cast Vowell as Violet after hearing her voice on the National Public Radio program, This American Life. Bird stated that she was "perfect" for the part and immediately called her to offer her the role. The Incredibles is the first Pixar film to be scored by Michael Giacchino. Brad Bird was looking for a specific sound as inspired by the film's retrofuturistic design – the future as seen from the 1960s. John Barry was the first choice to do the film's score, with a trailer of the film given a rerecording of Barry's theme to On Her Majesty's Secret Service. However, Barry did not wish to duplicate the sound of some of his earlier soundtracks; the assignment was instead given to Giacchino. Giacchino noted that recording in the 1960s was largely different from modern day recording and Dan Wallin, the recording engineer, said that Bird wanted an old feel, and as such the score was recorded on analog tapes. Wallin noted that brass instruments, which are at the forefront of the film's score, sound better on analog equipment rather than digital. Wallin came from an era in which music was recorded, according to Giacchino, "the right way", which consists of everyone in the same room, "playing against each other and feeding off each other's energy". Tim Simonec was the conductor/orchestrator for the score's recording. Several film reviewers drew precise parallels between the film and certain superhero comic books, like Powers, Watchmen, Fantastic Four, and The Avengers. The producers of the 2005 adaptation of Fantastic Four were forced to make significant script changes and add more special effects because of similarities to The Incredibles. Bird was not surprised that comparisons arose due to superheroes being "the most well-trod turf on the planet," but noted that he had not been inspired by any comic books specifically, only having heard of Watchmen. He did comment that it was nice to be compared to it, since "if you're going to be compared to something, it's nice if it's something good". Some commentators took Bob's frustration with celebrating mediocrity and Syndrome's comment that "when everyone's super, no one will be" as a reflection of views shared by German philosopher Friedrich Nietzsche or an extension of Russian-American novelist Ayn Rand's Objectivism philosophy, which Bird felt was "ridiculous." He stated that a large portion of the audience understood the message as he intended whereas "two percent thought I was doing The Fountainhead or Atlas Shrugged." Some purported that The Incredibles exhibited a right-wing bias, which Bird also scoffed at. "I think that's as silly of an analysis as saying The Iron Giant was left-wing. I'm definitely a centrist and feel like both parties can be absurd." The film also explored Bird's dislike for the tendency of the children's comics and Saturday morning cartoons of his youth to portray villains as unrealistic, ineffectual, and non-threatening. In the film, Dash and Violet have to deal with villains who are perfectly willing to use deadly force against children. On another level, both Dash and Violet display no emotion or regret at the deaths of those who are trying to kill them, such as when Dash outruns pursuers who crash their vehicles while chasing him, or when both of them witness their parents destroy several attacking vehicles with people inside, in such a manner that the deaths of those piloting them is undeniable. Despite disagreeing with some analysis, Bird felt it gratifying for his work to be considered on many different levels, which was his intention: "The fact that it was written about in the op/ed section of The New York Times several times was really gratifying to me. Look, it's a mainstream animated movie, and how often are those considered thought provoking?" The film opened on November 5, 2004, as Pixar's first film to be rated PG (for "action violence"). Its theatrical release was accompanied with a Pixar short film Boundin'. The promotional campaign included an official website with video segments, games, and printable memorabilia. While Pixar celebrated another triumph with The Incredibles, Steve Jobs was embroiled in a public feud with the head of its distribution partner, The Walt Disney Company. This would eventually lead to the ousting of Michael Eisner and Disney's acquisition of Pixar the following year. In March 2014, Disney CEO and chairman Bob Iger announced that the film would be reformatted and re-released in 3D. On May 11, 2018, Disney and IMAX announced that the film would be reissued and digitally re-mastered for IMAX theaters (alongside its sequel, Incredibles 2) using their DMR Technology in a double feature for a one-day only, "Fan Event", on June 13. The film was first released on both VHS and a two-disc collector's edition DVD set on March 15, 2005. The DVD set included two newly commissioned Pixar short films, Jack-Jack Attack and Mr. Incredible and Pals, which were made specifically for this home-video release, and Boundin', a Pixar short film that premiered alongside the feature film in its original theatrical release. It was the highest-selling DVD of 2005, with 17.38 million copies sold. The film was also released on UMD for the Sony PSP. Disney released the film on Blu-ray in North America on April 12, 2011, and on 4K UHD Blu-ray on June 5, 2018; this marks Disney's first 4K Blu-ray reissue on the format. Despite concerns that the film would receive underwhelming results, the film's domestic gross was $70,467,623 in its opening weekend from 7,600 screens at 3,933 theaters, averaging $17,917 per theater or $9,272 per screen, the highest opening-weekend gross for a Pixar film (the record was later broken in 2010 by Toy Story 3, with $110,307,189), the highest November opening weekend for a Disney film (the record was broken in 2013 by Thor: The Dark World with $85.7 million), the highest opening weekend for a non-sequel animated feature (the record was broken in 2007 by The Simpsons Movie, with $74,036,787), and the highest opening weekend for a non-franchise-based film for just over five years when Avatar opened with $77,025,481. This opening was the second-highest for an animated film at the time. The film was also number one in its second weekend, grossing another $50,251,359, dropping just 29 percent, and easily out-grossing new animated opener The Polar Express. The film ultimately grossed $261,441,092, making it the fifth-highest-grossing film of 2004. Worldwide, the film grossed $631,442,092, ranking fourth for 2004. It is also the second-highest-grossing 2004 animated film behind Shrek 2 ($919.8 million). Syndrome was listed at No. 64 in Wizard's top 100 villains. The film received a 97% approval rating on review aggregator Rotten Tomatoes, based on 240 reviews, with an average rating of 8.33/10. This, as of January 2018[update], makes it the 20th-highest-rated animated film of all time. The site's consensus reads "Bringing loads of wit and tons of fun to the animated superhero genre, The Incredibles easily lives up to its name." Metacritic, another review aggregator, indicates the film was met with "universal acclaim", with a score of 90/100 based on reviews from 41 critics. Audiences polled for CinemaScore gave the film an "A+" on an "A+ to F" scale. Roger Ebert of the Chicago Sun-Times gave the film three-and-a-half out of four, writing that the film "alternates breakneck action with satire of suburban sitcom life" and is "another example of Pixar's mastery of popular animation." Peter Travers of Rolling Stone also gave the film three-and-a-half, calling it "one of the year's best" and saying that it "doesn't ring cartoonish, it rings true." Giving the film three-and-a-half as well, People magazine found that The Incredibles "boasts a strong, entertaining story and a truckload of savvy comic touches." Eleanor Ringel Gillespie of The Atlanta Journal-Constitution was bored by the film's "recurring pastiches of earlier action films", concluding that "the Pixar whizzes do what they do excellently; you just wish they were doing something else." Jessica Winter of The Village Voice criticized the film for "playing as a standard summer action film", despite being released in early November. Her review, titled as "Full Metal Racket," noted that The Incredibles "announces the studio's arrival in the vast yet overcrowded Hollywood lot of eardrum-bashing, metal-crunching action sludge." Travers also named The Incredibles as #6 on his list of the decade's best films, writing "Of all the Pixar miracles studded through the decade, The Incredibles still delights me the most. It's not every toon that deals with midlife crisis, marital dysfunction, child neglect, impotence fears, fashion faux pas, and existential angst." The National Review Online named The Incredibles no. 2 on its list of the 25 best conservative movies of the last 25 years, saying that it "celebrates marriage, courage, responsibility, and high achievement." Entertainment Weekly named the film No. 25 on its list of the 25 greatest action films ever and no. 7 on its list of the 20 best animated movies ever. IGN ranked the film as the third favorite animated film of all time in a list published in 2010. In 2012, film critic Matt Zoller Seitz declared The Incredibles as the greatest superhero film he has ever seen: "That thing works as a James Bond spoof; a meditation on identities, secret and otherwise; a domestic comedy; a statement on exceptionalism vs. mediocrity, and the perils of the nanny state… And yet it all hangs together. No part feels perfunctory or stupid. It’s all deeply felt." He would also later name the film as the "greatest action movie of the aughts, with Hero and Kung Fu Hustle following close behind." The film won the Academy Award for Best Animated Feature, beating two DreamWorks films, Shrek 2 and Shark Tale, as well as Best Sound Editing at the 77th Academy Awards. It also received nominations for Best Original Screenplay (for writer/director Brad Bird) and Best Sound Mixing (Randy Thom, Gary Rizzo and Doc Kane). It was Pixar's first feature film to win multiple Oscars, followed in 2010 by Up. Joe Morgenstern of The Wall Street Journal called The Incredibles the year's best picture. Premiere magazine released a cross-section of all the top critics in America and The Incredibles placed at number three, whereas review aggregation website Rotten Tomatoes cross-referenced reviews that suggested it was its year's highest-rated film. The film also received the 2004 Annie Award for Best Animated Feature and the 2005 Hugo Award for Best Dramatic Presentation, Long Form, and it was nominated for the 2004 Golden Globe Award for Best Motion Picture – Musical or Comedy. It also won the Saturn Award for Best Animated Film. The American Film Institute nominated The Incredibles for its Top 10 Animated Films list. It was included on Empire's 500 Greatest Films of All Time at number 400. Several companies released promotional products related to the film. In the weeks before the film's opening, there were also promotional tie-ins with SBC Communications (using Dash to promote the "blazing-fast speed" of its SBC Yahoo! DSL service) Tide, Downy, Bounce and McDonald's. Dark Horse Comics released a limited series of comic books based on the film. Toy maker Hasbro produced a series of action figures and toys based on the film. Kellogg's released an Incredibles-themed cereal, as well as promotional Pop-Tarts and fruit snacks, all proclaiming an "Incrediberry Blast" of flavor. Pringles included potato chips featuring the superheroes and quotes from the film. In July 2008, it was announced that a series of comic books based on the film would be published by BOOM! Studios in collaboration with Disney Publishing by the end of the year. The first miniseries by BOOM! was The Incredibles: Family Matters by Mark Waid and Marcio Takara, which was published from March to June 2009 and collected into a trade paperback published in July of that year. A video game based on the film was released on the PlayStation 2, Xbox, GameCube, Game Boy Advance, PC, and Macintosh, as well as on mobile phones. Although based on the film, several key scenes are altered from the original script. A second game, The Incredibles: Rise of the Underminer, was released for the PlayStation 2, GameCube, Xbox, Game Boy Advance, and Nintendo DS, as well as on Windows and OS X. Taking place immediately after the film, Rise focuses on Mr. Incredible and Frozone as they battle with the Underminer, but the plot was later retconned out by Incredibles 2. A third game, The Incredibles: When Danger Calls, was released for Windows and OS X. It is a collection of 10 games and activities for the playable characters to perform. A fourth game, The Incredibles: Escape from Nomanisan Island was released as a downloadable title for PC made by Backbone Entertainment. It was an action-adventure game where the incredibles try to escape Nomanisan Island while facing wave after wave of the evil forces of their foe, Syndrome. Another game, Kinect Rush: A Disney Pixar Adventure, was released on March 20, 2012, for Xbox 360. It features characters and missions from five Pixar's films: The Incredibles, Up, Cars, Ratatouille and Toy Story. The Incredibles characters also star in Disney Infinity, which was released in August 2013. The playset for The Incredibles is featured in the starter pack. A LEGO-themed video game, Lego The Incredibles, was released by Warner Bros. Interactive Entertainment and is released on June 15, 2018 on the Nintendo Switch, Xbox One, and PlayStation 4. Director Brad Bird stated in 2007 that he was open to the idea of a sequel if he could come up with an idea superior to the original film: "I have pieces that I think are good, but I don't have them all together." During an interview in May 2013, Bird reiterated his interest in making a sequel. "I have been thinking about it. People think that I have not been, but I have. Because I love those characters and love that world," said Bird. "I am stroking my chin and scratching my head. I have many, many elements that I think would work really well in another Incredibles film, and if I can get ‘em to click all together, I would probably wanna do that." Disney announced their intentions to develop Incredibles 2 in March 2014. Bird returned to direct and write the screenplay. Nelson, Hunter, Vowell, Jackson, Bird, and Ratzenberger returned to voice their characters, while Dash was voiced by Huck Milner as Fox's voice had deepened in the intervening years and Rick Dicker was voiced by Jonathan Banks after Bud Luckey retired in 2014. The film is a direct continuation of The Incredibles. The sequel gives Holly Hunter's character, Elastigirl, a more developed plotline. The teaser trailer for the sequel premiered on November 18, 2017. Originally, Incredibles 2 was to be released on June 21, 2019 as Pixar's next film after Toy Story 4. Due to delays on that title, Pixar swapped the release dates, and Incredibles 2 was then officially released in the United States on June 15, 2018. ^ a b c "The Incredibles". AFI Catalog of Feature Films. American Film Institute. Retrieved October 25, 2018. ^ "THE INCREDIBLES". British Board of Film Classification. ^ "The Incredibles (2004)". The Numbers. Retrieved July 30, 2018. ^ a b "The Incredibles (2004)". Box Office Mojo. IMDb.com, Inc. Retrieved August 2, 2013. ^ Acuna, Kirsten (June 12, 2018). "'The Incredibles' actually takes place decades ago — here's the moment that proves it". ThisIsInsider.com. Insider Inc. Retrieved November 19, 2018. ^ "The One Thing You Never Noticed About The Incredibles". Oh My Disney. Retrieved November 19, 2018. ^ "Hold up, The Incredibles is Set in 1960's?". Star 104.5. Retrieved November 19, 2018. ^ a b Brad Bird, John Walker et al. (2011). The Incredibles. Special Features: Making of The Incredibles (Blu-ray Disc). Buena Vista Home Entertainment. ^ a b c d e f g Patrizio, Andy (March 9, 2005). "An Interview with Brad Bird". IGN. Archived from the original on January 20, 2013. Retrieved July 27, 2013. ^ Paik, Karen. (2007) To Infinity and Beyond! : The Story of Pixar Animation Studios, Chronicle Books LLC, pg. 236–37. ^ a b c d e f Michael Barrier (February 27, 2005). "Brad Bird - Interview". MichaelBarrier.com. Retrieved July 31, 2012. ^ a b c d e f g h i j Bill Desowitz (November 5, 2004). "Brad Bird & Pixar Tackle CG Humans Like True Superheroes". AnimationWorld. Retrieved July 31, 2012. ^ Rao, Hayagreeva; Sutton, Robert; Webb, Allen P. (April 2008). "Innovation lessons from Pixar: An interview with Oscar-winning director Brad Bird". McKinsey Quarterly. McKinsey & Company. Retrieved November 19, 2018. ^ Collins, Andrew (October 5, 2009). "Interview: Pixar's Pete Docter and Jonas Rivera". Radio Times. Archived from the original on May 11, 2011. Retrieved July 27, 2013. ^ Hornby, Nick (November 14, 2004). "Sarah Vowell: Superheroine!". The Independent. Retrieved May 2, 2018. ^ a b ""The Incredibles" production notes" (PDF). The Walt Disney Company. Retrieved October 3, 2018. ^ Lee, Michael J. (October 17, 2004). "Brad Bird". RadioFree.com. Retrieved May 3, 2018. ^ Edelstein, David (November 4, 2003). "Reality Bytes". Slate. Retrieved July 6, 2018. ^ Moriarty (November 5, 2004). "AICN Animation Double-Header! Moriarty Interviews Brad Bird!!". Ain't It Cool News. Archived from the original on July 18, 2007. Retrieved July 27, 2013. Yeah. We worked on it for a little while, and I’m a huge fan of John Barry. But I kind of wanted him to go back to a style that he used in the past, and use that as kind of a starting place. I think he kind of felt like he’d already done that. ^ D., Spence (November 4, 2004). "Michael Giacchino Interview". IGN. Retrieved July 27, 2013. ^ Pratt, Douglas (March 15, 2005). "The Incredibles DVD Review". Movie City News. Retrieved July 30, 2013. There's expectations for animation, and, you know, you make this connection with animation and superheroes, you think, 'Saturday morning,' and Saturday morning they have these very strange shows, completely designed around conflict and yet no one ever dies or gets really injured, or there's no consequence to it. I think that came out of, you know, a team of psychologists determined that it is bad for children, and I think just the opposite. I think that it's better if kids realize there's a cost and that if the hero gets injured and still has to fight, it's more dramatic, and it's closer to life. ^ Cobbs, Maurice. "The Incredibles". DVD Verdict. Archived from the original on September 24, 2013. Retrieved July 30, 2013. Remember the bad guys on the shows you used to watch on Saturday mornings?" she says. "Well, these guys aren't like those guys. They won't exercise restraint because you are children. They will kill you if they get the chance. Do not give them that chance. ^ a b "The Incredibles on DVD March 15". ComingSoon.net. January 17, 2005. Archived from the original on December 10, 2007. Retrieved July 27, 2013. ^ "Movie Marketing Madness: "the Incredibles"". Film Threat. November 3, 2004. Archived from the original on December 17, 2013. Retrieved June 28, 2013. ^ a b Graser, Marc (March 18, 2014). "Disney Plans Third 'Cars,' 'The Incredibles 2′". Variety. Retrieved March 18, 2014. ^ "Official Press Release on IMAX Double Feature". imax.com. Retrieved May 21, 2018. ^ "The Incredibles [VHS]: Craig T. Nelson, Samuel L. Jackson, Holly Hunter, Jason Lee, Dominique Louis, Teddy Newton, Jean Sincere, Eli Fucile, Maeve Andrews, Wallace Shawn, Spencer Fox, Lou Romano, Brad Bird, Bud Luckey, Roger Gould, John Lasseter, John Walker, Katherine Sarafian: Movies & TV". Amazon.com. Retrieved June 28, 2013. ^ Home Media Retailing (December 30, 2005). "Home Media Retailing Details an 'Incredibles' Year". Business Wire. Retrieved May 10, 2012. ^ Galindo, David (November 16, 2005). "The Incredibles - PSP Review". IGN. Archived from the original on August 7, 2006. Retrieved July 27, 2013. ^ J. C. Ribera (January 7, 2011). "Disney/PIXAR's The Incredibles Blu-ray Coming April 12". Blu-ray.com. Retrieved January 24, 2011. ^ "Blu-ray and Games News and Reviews in High Definition". High Def Digest. Retrieved May 16, 2018. ^ "Movie & TV News @ IMDb.com – Studio Briefing – November 4, 2004". IMDb. Archived from the original on October 26, 2011. Retrieved October 2, 2011. Analysts doubt that Pixar's latest CGI movie, The Incredibles, which opens on Friday, will achieve the same degree of success at the box office as its previous film, Finding Nemo, Investor's Business Daily reported today (Thursday). The newspaper observed that the film will be facing tougher competition from other family films than other Pixar movies had. Among the rivals: Warner Bros.' The Polar Express (Nov. 10), Paramount's The SpongeBob SquarePants Movie, and Paramount's Jim Carrey starrer, Lemony Snicket's A Series of Unfortunate Events. Harris Nesbitt Gerard analyst Jeffrey Logsdon predicted that The Incredibles will gross $225 million domestically and close to $500 million worldwide – ordinarily a huge result, but well below the $865 million for Pixar's Finding Nemo. It would also be well below the record (for an animated film) $882 million earned by DreamWorks' Shrek 2. ^ "Thor: The Dark World (2013)". Box Office Mojo. IMDb.com, Inc. Retrieved March 26, 2014. ^ "2004 DOMESTIC GROSSES". Box Office Mojo. Retrieved March 20, 2012. ^ "2004 WORLDWIDE GROSSES". Box Office Mojo. Retrieved March 20, 2012. ^ "The Incredibles (2004)". Box Office Mojo. Retrieved August 2, 2013. ^ McCallum, Pat (July 2006). "100 Greatest Villains Ever". Wizard (177). ^ a b "The Incredibles (2004)". Rotten Tomatoes. Fandango. Retrieved March 20, 2019. ^ "Top 100 Animation Movies". Rotten Tomatoes. Fandango. Retrieved January 16, 2018. ^ "The Incredibles". Metacritic. CBS Interactive Inc. Retrieved August 5, 2017. ^ "The Incredibles: CinemaScore". Retrieved July 17, 2017. ^ Ebert, Roger (November 4, 2004). "The Incredibles Movie Review & Film Summary (2004)". Roger Ebert. Archived from the original on June 3, 2013. Retrieved July 27, 2013. ^ Travers, Peter (November 3, 2004). "The Incredibles". Rolling Stone. Retrieved March 20, 2012. ^ "The Incredibles". AccessAtlanta. November 5, 2004. Archived from the original on August 24, 2011. Retrieved October 2, 2011. ^ Jessica Winter (October 26, 2004). "Full Metal Racket". The Village Voice. Archived from the original on June 4, 2011. Retrieved January 10, 2014. ^ Travers, Peter. "10 BEST MOVIES OF THE DECADE - The Incredibles". Rolling Stone. Retrieved September 29, 2014. ^ Mathewes-Green, Frederica (February 13, 2009). "The Best Conservative Movies of the Last 25 Years". National Review Online. Archived from the original on January 22, 2015. Retrieved March 25, 2013. ^ Bernardin, Marc (June 18, 2007). "The Incredibles | The 25 Greatest Action Films Ever! | Photo 1 of 26". Entertainment Weekly. Retrieved July 27, 2013. ^ Bernardin, Marc (August 1, 2012). "The Incredibles | Photo 13 of 20". Entertainment Weekly. Retrieved July 27, 2013. ^ Pirrello, Phil; Goldman, Eric; Fowler, Matt; Collura, Scott; White, Cindy; Schedeen, Jesse (June 24, 2010). "Top 25 Animated Movies of All-Time". IGN. Retrieved August 15, 2013. ^ Seitz, Matt Zoller; Abrams, Simon (March 6, 2012). "TRAILER WATCH – Marvel's THE AVENGERS: Just Another Superhero Movie?". IndieWire. Penske Business Media, LLC. Retrieved August 5, 2017. ^ Seitz, Matt Zoller [@mattzollerseitz] (March 28, 2012). "@KrisPigna THE INCREDIBLES is the greatest action movie of the aughts, with HERO and KUNG FU HUSTLE following close behind" (Tweet). Retrieved August 5, 2017 – via Twitter. ^ "The 77th Academy Awards (2005) Nominees and Winners". Academy of Motion Picture Arts and Sciences. Archived from the original on June 10, 2014. Retrieved November 20, 2011. ^ "Empire's 500 Greatest films of all time". Empire. 2008. Retrieved September 10, 2016. ^ "Marketers latch on to 'The Incredibles' | News". Advertising Age. October 4, 2004. Retrieved June 28, 2013. ^ "Dark Horse Publishing Incredibles Comic". SuperHeroHype. July 28, 2004. Retrieved September 24, 2017. ^ Hill, Jim (November 2, 2004). ""Don't Toy With Me": Giant Incredibles Movie Merchandise blowout!". Jim Hill Media. Retrieved September 24, 2017. ^ DeMott, Rick (November 10, 2004). "Kellogg's Blasts Incredible Snacks". Animation World Network. Retrieved September 24, 2017. ^ "Pringles - Incredibles". Brent Stafford. Retrieved September 24, 2017. ^ Joel (November 15, 2004). "Pringles Prints". Gizmodo. Retrieved September 24, 2017. ^ "SDCC 08: Disney and Pixar Go Boom". IGN. July 23, 2008. Retrieved July 27, 2013. ^ "The Incredibles: Family Matters: Mark Waid, Marcio Takara: Amazon.com: Books". Amazon.com. Retrieved June 28, 2013. ^ a b "The Incredibles Rise of the Underminer: Video Games". Amazon.com. Retrieved June 28, 2013. ^ a b "The Incredibles: When Danger Calls: Unknown: Video Games". Amazon.com. Retrieved June 28, 2013. ^ "The Incredibles: Escape from Nomanisan Island: Video Games". Disney Interactive. Retrieved February 2, 2005. ^ "Kinect Rush: A Disney Pixar Adventure: Video Games". Amazon.com. Retrieved June 28, 2013. ^ Hillier, Brenna (July 18, 2013). "Disney Infinity puts the spotlight on The Incredibles". VG247. Retrieved July 27, 2013. ^ McWhertor, Michael (March 28, 2018). "Lego The Incredibles game came in June". Polygon. Retrieved March 28, 2018. ^ "Bird on Toy Story 3 and Incredibles 2". June 22, 2007. Retrieved June 22, 2007. ^ "Brad Bird on 'Incredibles' Sequel: 'I Would Probably Wanna Do That' (Q&A)". The Hollywood Reporter. Prometheus Global Media. May 16, 2013. Retrieved May 16, 2013. ^ Gettell, Oliver (March 19, 2014). "Disney's Pixar planning 'Incredibles' sequel and a third 'Cars' film". Los Angeles Times. Retrieved March 21, 2014. ^ Ching, Albert (July 14, 2017). "D23 Expo: Pixar and Walt Disney Animation Studios: The Upcoming Films". CBR.com. Retrieved July 14, 2017. ^ Schwartz, Terri (July 14, 2017). "The Incredibles 2 Takes Place Immediately After the First Film". IGN. Retrieved July 14, 2017. ^ Alexander, Julia (July 14, 2017). "The Incredibles 2 will focus on Elastigirl, include some noticeable upgrades". Polygon.com. Archived from the original on July 16, 2017. Retrieved July 23, 2017. ^ "Incredibles 2 teases, coming to theaters in summer 2018". theindependent.in. November 19, 2017.